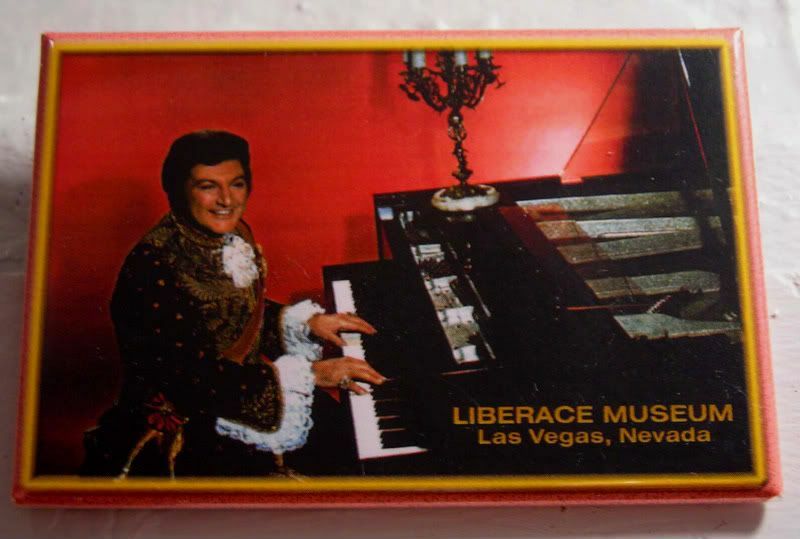 joy magnetism: Will the real Wladziu Valentino Liberace please stand up? Please stand up. Hahaha - that's a great story! When I first started playing, and we hadn't yet bought our piano (from Mr. Kluttz down at Kluttz Pianos in Rockwell, NC), I used to have to practice on the kitchen table. It couldn't have been for more than a week or two, but man, did my piano teacher, Mrs. Pinnix, just loooved to tell that story. Heh.